Don’t make this harder than it has to be. Every single article in the round-up doesn’t have to be by your brand. 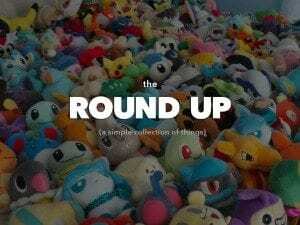 In my early days of content marketing I’d try to create the extremely epic round up posts and end up trying to create 3 new articles to round out my round-up. Don’t do this. If you haven’t published 10 articles that week don’t kill yourself scraping your site for content or worse, mediocre content. Just throw in some gems you’ve enjoyed from around the web or brand websites that are not direct competitors. Be sure they offer content that’s relevant to your brand and audience. People enjoy real information and not just being marketed to constantly. A round-up post should be an article that speaks to the people in your niche. Also a good strategy for building relationships with influencers. An Influencer can be anyone who influences the decisions of others. They may be other professionals in your industry, or those whose opinions are influential to friends and family. Most brands have some influences in their circles whether they know about it or not. Appropriate brand related information in a round-up post can let everyone know that you are reaching out to them, promoting their content if they’re partnered with you, and if they’re fans of your brand, it lets them know you are the authority and you are keeping up in your industry. More often than not these round up articles, lead to nice backlinks that point to your website, or social media follows for your brand. If any of your website visitors are influential in your niche or to their friends, their tacit endorsement in the form of a like or share can send traffic your way. 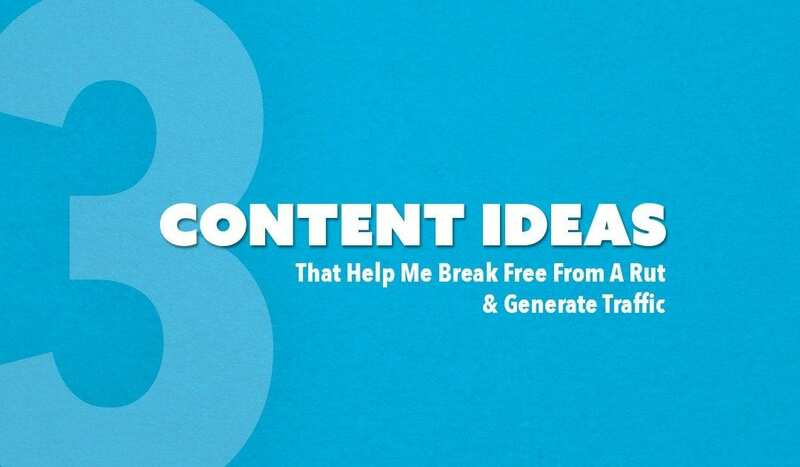 I’ve been in a content rut so many times and this puppy really helps pull me out and while you’re thinking to your self, “everyone knows this stuff”, the people do do’t will be enjoying the updated content. Being an OG (You know what an OG is… right?) in your industry it’s difficult to remember that people DON’T know this stuff. Everyone has their specific niche they can talk about for hours and give examples, nice solid examples of how it relates to or is analogous to an everyday experience in practical terms. I find when I write these ideas down it helps me to refine my thinking and word specific examples to make my case or analogy that much stronger. Sometimes these are simply putting into words the fundamental reasons people do business with you in the first place. If you’re an air conditioning company this might focus on your competitive advantages. If you’re a Medical Spa it might be about the basics of botox. Every industry have their basics that are a fundamental part of educating the consumer about their product, services, or reason for being. This may seem far too simple or boring but its a chance to reaffirm your fundamental philosophy. It’s a chance to reiterate the clear and concise mission of whatever your service, industry, or organization does, why you do what you do, and how your brand is better than the others. There is so much happening online that it’s best not to make things more complicated than they need to be. First off, if you can get interviews with experts in your niche, your credibility will be greatly boosted thus generating more traffic. All you have to do is simply ask. Email experts a list of questions that are relevant to your niche and get some great content from their answers. At the same time, build relationships with these experts because you never know when a powerful partnership will come knocking at your door. The second option would be to just talk with a friend in your industry. It may be a good opportunity to pick their brain about topics you’re interested in or have a more formal business conversation about their ideas. You can just take some notes and write a brief article. When the conversation or interview speaks the individuals opinions you can sometimes play devil’s advocate which might reveal some advantages to ideas that flip traditional beliefs & strategies on their head. Anything that holds the project back from getting done is a deal that should be worked out once you’ve identified this as a marketing project that can work for your brand. You don’t have to record the interview in ultra high quality if you don’t already have a microphone and mixer set up. Just have a conversation and take a few notes. Just do a twitter campaign. You have to get your feet wet with social advertising somehow. Even if you’re going to have your webmaster or a consultant help manage your campaign, it is valuable to have a fundamental & experiential understanding of the process. If you do decide to run regular social media campaigns it’s best to delegate that task to a capable person because it’s easy to see those budgets run into the hundreds of dollars with very little understanding of how they are affecting your bottom line. Some of it is of value due to basic brand awareness. Twitter can be a huge source of traffic for you if you know how to build your Twitter network and keep up with it on a daily basis. Twitter is a very fast paced social network, much more fact paced than you can wrap your brain around. Things happen in real time on twitter, that’s one of the main attractions of the social network. Don’t think twitter is just for kids. Savvy industry professionals keep up with twitter as well as the younger audience because of the fast paced nature of the social media channel. It’s a way to immediately get the word out about something and have millions of people respond to that. Your tweets don’t need to be ground breaking news but it should be relevant to your audience and it would be great if it also supported your business goals. Your goal with Twitter is to network and build relationships and those can lead to more traffic. One Twitter post can become so viral that it can send tens of thousands of visitors to your sites if done in the right manner but those are the extreme end of success stories on Twitter. Like many other social network Twitter is a big help with that type of mind awareness you need in any industry. When someone thinks they need a product or service in your category you need to get them to think of your brand first and also perceive your brand as delivering on the brand promise more reliable than any competitors you might have. If you’re in a high technology business this might be more important than you think because it helps affirm your understanding of technology & the ever changing world of digital trends. If you’re mining Twitter just for 100% solid sales leads you might have a little bit of a hard time. I’ve found the quality of leads from twitter is variable but you have to consider the state of the internet and e-commerce today. It boils down to a fundamental understanding of how consumers make buying decisions online today. There are fundamental steps of Information Search and Evaluations of Alternatives in the consumer buying process, I’m certain that holds especially true for product decisions that are made only online. It’s all about the basics.